Today, Poetry Friday is hosted by Keri at Keri Recommends. 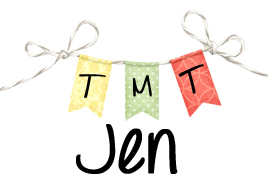 Every Friday a different blogger rounds up all the posts for the week. Click here for a schedule of who is hosting the round-up for the week. After reading The Center of Everything and spending time with family yesterday, I was feeling very reminiscent. My grandfather died when I was a senior in high school and I spoke at his funeral. I wrote a poem about him and how he used to scoop grapefruit into glass jars, taking the time to cut around the grapefruit and nudge each little wedge of sour fruit out. He was meticulous and focused and I learned from him to take the time to do things right. I wish so much that I still had a copy of that poem so I could share it here today! Not that it was a spectacular poem, but it has definite sentimental value. 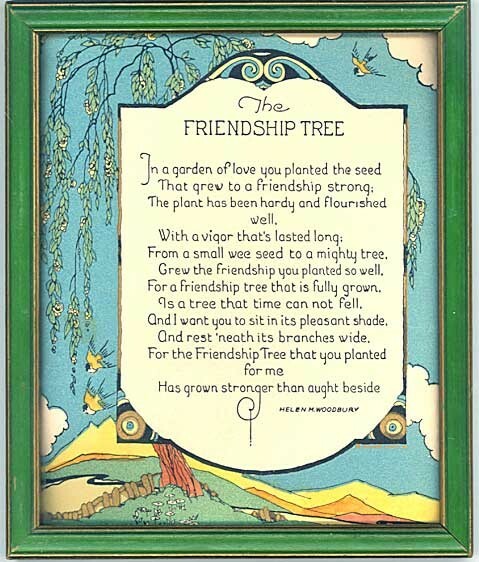 Thinking of my own grandfather and reading about Ruby and her grandmother got me thinking about vintage cards so I did a little searching to find my poem for today, it's about friendship and I think goes well with The Center of Everything by Linda Urban. 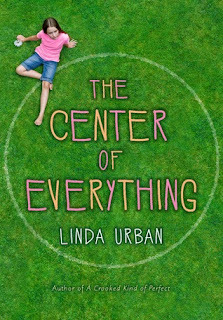 GoodReads Summary: For Ruby Pepperdine, the “center of everything” is on the rooftop of Pepperdine Motors in her donut-obsessed town of Bunning, New Hampshire, stargazing from the circle of her grandmother Gigi’s hug. That’s how everything is supposed to be—until Ruby messes up and things spin out of control. But she has one last hope. It all depends on what happens on Bunning Day, when the entire town will hear Ruby read her winning essay. And it depends on her twelfth birthday wish—unless she messes that up too. Can Ruby’s wish set everything straight in her topsy-turvy world? 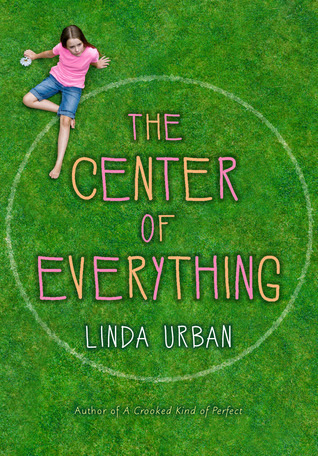 What I Think: Linda Urban's writing is the kind of prose I just want to curl up in. It's like Gigi's hug, calm and soothing and wonderful. When I heard Linda speak about this book at Anderson's Bookshop, she talked about the setting and the timeline of this book. The Center of Everything takes place during the course of a day, mostly as Ruby thinks about her life and what has brought her to the Bunning Day parade. She watches as the parade goes by, thinking about her grandmother and contemplating life. Linda is able to pack so much into this short moment. Through flashbacks, we get glimpses of Ruby's life and what has brought her to this one pivotal moment. Linda also uses interesting points of view in this book, sometimes telling the story from a 2nd person voice which is very unique but also a wonderful way to pull the reader into the story. I felt like I was at the parade with Ruby. Ruby makes a wish on her twelfth birthday and so much of the story is spent wondering just what Ruby's wish was and if it will come true. While I followed the story of Gigi and Ludy and Nero, I realize now that going back and reading the story again with a knowledge of what happens, I noticed and picked up on so many hints that Linda has woven through the book. While I was reading it the first time, I wasn't picking up or paying such close attention to specific words that are used throughout the book. Going back, I see how intentional Linda was about the words that she uses and how what I wasn't focused on at the beginning really was there all along for a reason. This is definitely a book I would recommend students reread. As a mentor text, there is such power in rereading and noticing what an author did intentionally. I think some of the true art behind writing is that the reader doesn't realize how well you have crafted your words together but that when that reader stops to reread and try to see what you have done, it is all there. If I had gone back to reread The Center of Everything and not noticed right away words popping out at me that I overlooked the first time, then it wouldn't hold the same magic. But because it's Linda Urban, of course the magic is there. The mystery was calling out from the beginning, I just didn't know what I was looking for yet. This book reminds me of so many other books. I love how Linda Urban brings a focus to friendship. Friendship is such an important part of life and I'm glad she encourages readers to stop and think about what it means to be a friend and what it means to make new friends and how we need to do our best to savor and nourish our friendships, especially when we find great friends. I'm just finishing a class on young adolescent development and we have been talking about social development in young adolescents. Friendship is so important and I think it's important for adults to support students in developing relationships and knowing how to support each other as friends. I truly believe all learning starts with a positive relationship and developing a culture for learning where participants feel valued and trusted is so important. Ruby's story helped me see again and differently how important friendship is. It makes me want to go and call my friends and send them hugs because without them, I wouldn't be who I am today. Writing Prompts: Write a poem about a person who is close to you, whether it is a grandparent, a parent, a friend or another person who has made an impact on your life. Compare and contrast the friendship that Ruby has with Gigi, Lucy, and Nero. How does her relationship with each of them support the definition of friendship?